A sandwich, chips and a juice box were the staples of my school lunch. I like to think that I turned out alright. But I want better for my children. Research has proven that healthy and balanced school lunches help children concentrate better in the classroom and prevent obesity. It also encourages a lifetime of healthy eating. But it can be difficult when you have a picky eater or a tween stuck in old habits. During a routine visit to the pediatrician’s office, my tween son Jonathan was asked what he eats for lunch. When he added that he drank a boxed chocolate milk, my pediatrician was horrified. She explained that boxed milk and juice boxes contain large amounts of unnecessary sugar. I took out the juice boxes and after that re-thought everything I put in my tween’s lunch box. Swap out juice boxes for reusable water bottles. Replacing the juice box with a reusable water bottle will save on the extra sugar which tweens don’t need and end up saving you money year round. Add fruit. Now that we’ve taken out the fruity juice box, let’s replace it with real fruit. Grapes, strawberry and orange slices hold up well in a lunch box and can be easily placed in a small tupperware. Be sure to add dairy. Cheese cubes and sticks are always a favorite with tweens and they add back in the dairy that the milk boxes were providing. Another option is yogurt but be mindful again of the amounts of sugar. Ditch the bread. Sandwiches are quick and easy but even faster are turkey and cheese roll ups. By removing the bread and mayo, you’re making the lunch even healthier and focusing on the protein and dairy they need. Replace the chips. Tweens love chips but they’re so bad for them. Consider replacing chips with other crunchy snacks like pita and hummus. Baked cracker can also be a good lower fat option. 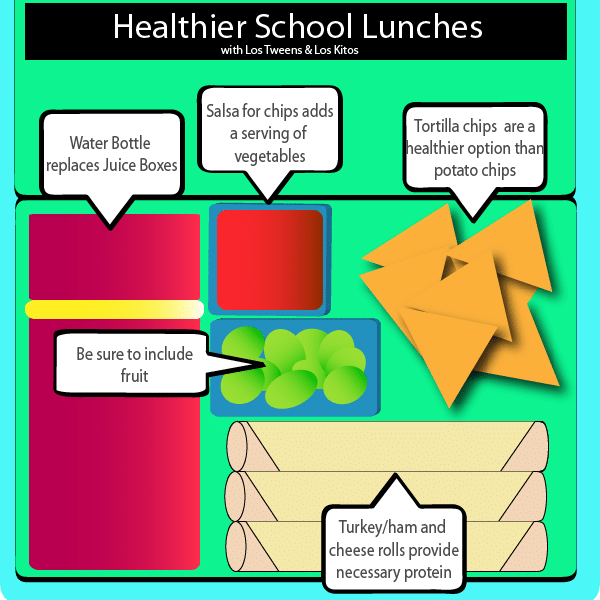 Implement these changes slowly and test out different options to make your tween’s school lunch healthier and set them on the right track. 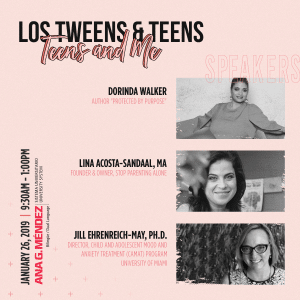 This entry was posted in Back To School, Fitness and Health, Raising Tweens, Recipes and tagged healthy eating, Los Kitos, parenting ideas, Parenting Tips, school, Tweens. Bookmark the permalink.